Missing for five years, Destiny’s soundtrack album, Music of the Spheres, resurfaced in 2017. Composer Marty O’Donnell reflects on what happened, in this excerpt from Wireframe issue 4. 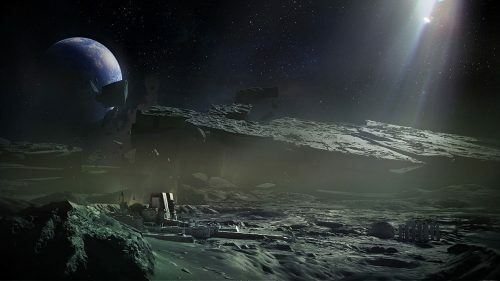 When Bungie unveiled its space-opera shooter Destiny in February 2013, it marked the end of two years of near silence from the creators of the Halo franchise. Fans celebrated at the prospect of an entirely new game from such well known talent. Behind closed doors, however, Destiny was in trouble. 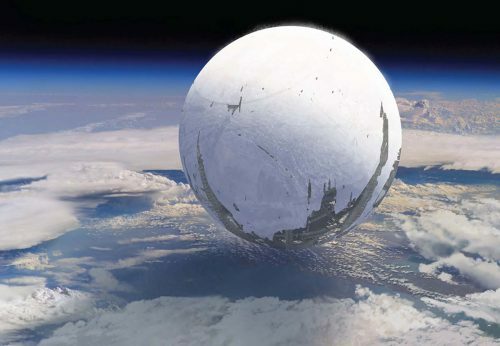 Though the game was almost complete by mid-2013, plans to launch that September were put on hold when concerns over Destiny’s story forced its narrative structure to be rebuilt from scratch. It would be more than 18 months before Destiny was released: a fun but strange shooter that bore difficult-to-pin-down traces of its troubled gestation. But one element of Destiny – that had been a huge part of its development – was nowhere to be seen. 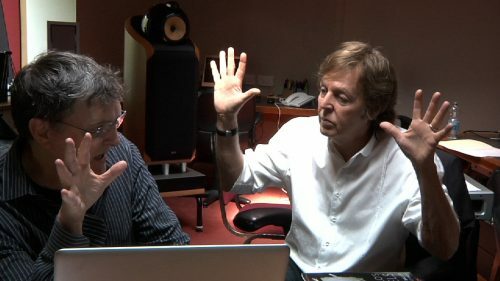 It was an ambitious original soundtrack written and recorded with an impressive but unexpected collaborator: Paul McCartney. Audio director and composer Marty O’Donnell had been with Bungie since the late 1990s, and for him, Destiny represented an opportunity to develop something new: a musical prequel to the video game. This would become Music of the Spheres – an eight-part musical suite that took nearly two years to complete. This was no mere soundtrack, however. Born out of discussions between O’Donnell and Bungie COO Pete Parsons early in the game’s production, it was to play an integral role in Destiny’s marketing campaign. Between 2011 and 2012, Bungie and O’Donnell devised plans for the album. But there were fundamental differences between what Bungie had planned and what Activision – Destiny’s publisher, and keeper of the purse strings – wanted. News of a collaboration with McCartney had raised eyebrows when he revealed his involvement on Twitter in July 2012. His interest had been piqued during his attendance at E3 2009 following the announcement of The Beatles: Rock Band, which was preceded by Bungie’s unveiling of Halo ODST. Within a few weeks, O’Donnell and McCartney were exchanging ideas for Destiny. Working with regular collaborator Michael Salvatori, O’Donnell and McCartney set about developing Music of the Spheres into a fully fledged album, comprising eight movements. The album was completed in December 2012 following recording sessions at Capitol Studios in California, Avatar Studios in New York, and Abbey Road in London. Musical elements from Music of the Spheres accompanied Bungie’s big reveal of Destiny at a PlayStation 4 event in New York in February 2013. But after that, things started to go south. You can read the rest of this fantastic feature in Wireframe issue four, out 20 December in Tesco, WHSmith, and all good independent UK newsagents. Or you can buy Wireframe directly from us — worldwide delivery is available. And if you’d like to own a handy digital version of the magazine, you can also download a free PDF. 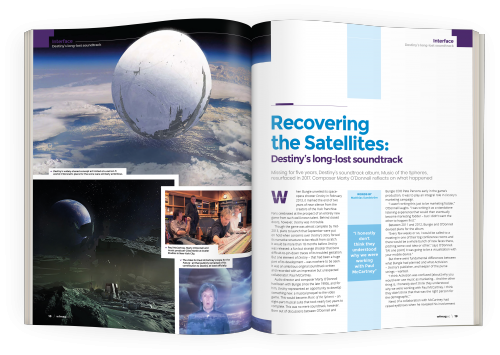 The post From Wireframe issue 4: Recovering Destiny’s long-lost soundtrack appeared first on Raspberry Pi. 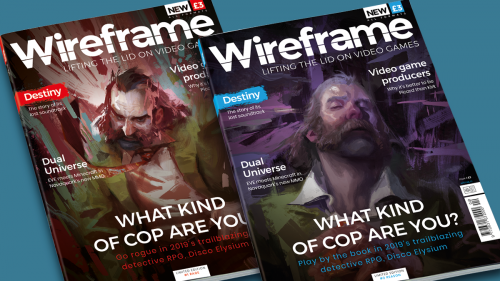 We said we’d be back with more, so here we are back with more: issue 3 of Wireframe, the magazine that lifts the lid on video games. Our third issue sees the now-established mix of great features, guides, reviews, and plenty more beyond that. Headlining it all is our sit-down chat with Julian Gollop about his upcoming strategy title Phoenix Point, with the X-Com creator waxing lyrical about Rebelstar, Chaos, and the secret of great AI. We also take a look at the careers of amateurs-turned-pros, checking out the modders who went legit and getting input from those who’ve made the jump from doing it for fun, to doing it for fun and money. 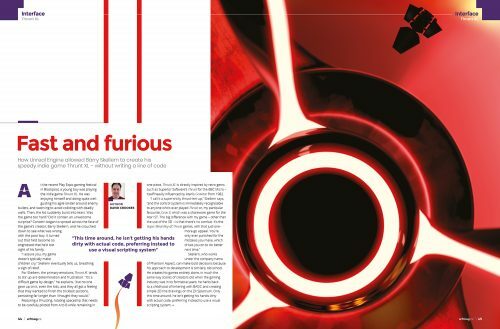 We’re investigating Thrunt XL, the indie game made without typing a single line of code; Terry Cavanaugh tells us about his unconventional new rogue-like Dicey Dungeons; and veteran game developer Howard Scott Warshaw looks back on the making of his Atari 2600 classic, Yars’ Revenge. All this, and a variety of news, previews, and reviews covering everything from triple-A releases to dinky, loveable indie games. 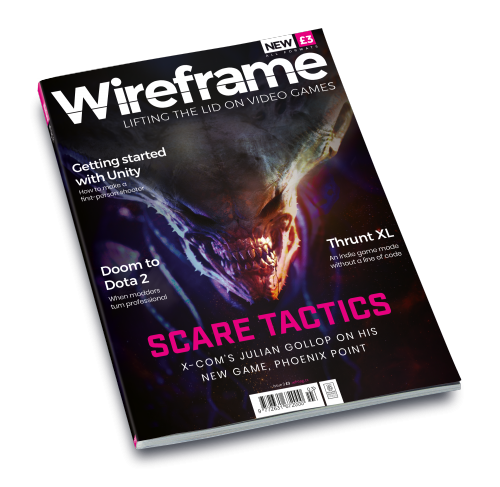 Print copies of Wireframe are available now in WHSmith, Tesco, and all good independent UK newsagents. Or you can buy Wireframe directly from us — worldwide delivery is available. 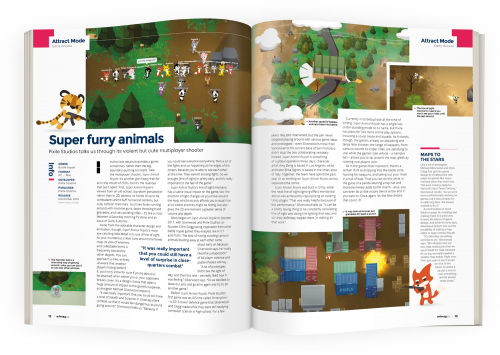 And if you’d like to own a handy digital version of the magazine, you have the option to also download a free PDF. Whether you want to sample six print issues for a bargain price, subscribe for a full year, or get a regular digital edition sent directly to your device, we have some superb deals for you to choose from! 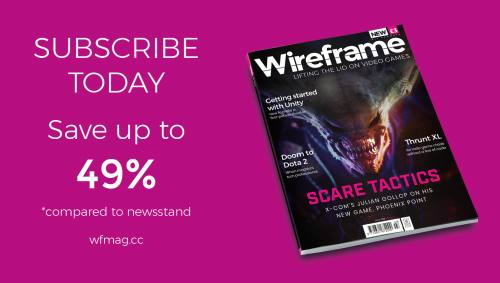 To find out how you can save up to 49% on Wireframe, head to wfmag.cc/subscribe. Or you can get the digital edition directly to your smart device via our Android and iOS apps. The post Wireframe 3: Phoenix Point, modders going pro, and more appeared first on Raspberry Pi.